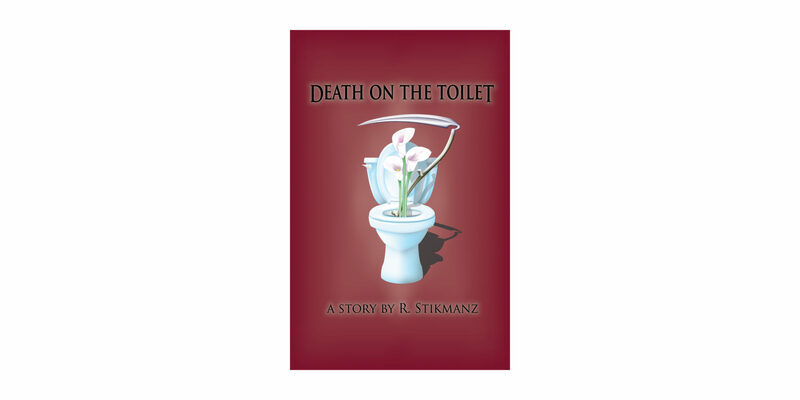 Created in 2010 to celebrate first publication of my story, "Death on the Toilet," this illustration is subject to repeated theft by cell phone. The previous two weekends found me among the vendors at public events, with a full suite of ups and downs across the experience. September 8 & 9, I shared a table with Dark-meister Paul E. Cooley as part of the fourteenth year of Staple! Independent Media Expo. September 15 & 16, I stood alone at a booth in the cavernous hall of the first ever Independent Game Developers Exposition (IGDExpo), in West Monroe, Louisiana. Conclusions after the fact include (1) appearance at a couple of events a year is important, but (2) no appearance involving hotel stay can be cost effective unless expenses are comped. Before turning to root around in those topics, a grouch refreshed at both events gnaws at me, so low things first. This year people have begun photographing the CD jacket of Gary Warner Kent’s reading of my story, “Death on the Toilet.” As some will know, I create an illustration for each fiction that sees publication. I created the image, “Night Harvest,” in 2010 to celebrate acceptance of the short story for issue #47 of now defunct The Sorcerer’s Scrolls. The illustration didn’t see light until a year later when the story was available for a time through Smashwords. Besides making it the cover of the Smashwords download, I had it printed as a postcard with the story’s link on the back, and tried selling the postcard for two bucks. There were no takers, so I did what I always used to do when no one would pay for a work, I gave copies away until I got tired of doing that and then destroyed a bunch to clear storage. The image itself has always drawn positive comment, so when Gary Kent agreed to perform the reading, “Night Harvest” resurrected. Today, like the postcard before, no one buys the CD. I have kept it on the Stikmantica display because it draws people to ask about a readymade topic. That is, it did until this year. After Staple! I had planned to print a label for strategic intrusion, but that didn’t happen before the mighty Scion roared onto the road for West Monroe. Last weekend, during IGDExpo, I was most of the way down the aisle for a comfort break when I realized I had left my phone on the table behind the display. Turning around, I saw a vendor from across the aisle photographing the CD jacket. Her artistic output centers around original illustrations of other peoples’ superheroes. My little still life represents no vast franchise, so what does she want with it? In any event, all these art thieves have photographed it at reduced size and through the shrinkwrap skin. For $5.00 they could own a copy legitimately, get a great performance of an excellent short story, and help clear backstock from the closet in the bargain. At the least, they should have an unobstructed look at what they appropriate. “Night Harvest” is posted at the head of this column. Click the above image once to see it on its own page, and again for a larger size. Despite the appeal of this one whimsical piece, current high tide marks for other varieties of stikmania set all events below the loss leader line. Reality argues convincingly that my potential readership is not sufficient to pay the various pipers involved in overnights away. For the longest time I struggled to identify events at which I thought I stood a chance of breaking even. Only recently has it gotten through that personal appearances will never pay for themselves directly. Legal tender is not the sole measure of return. Atop all other benefit sits the pleasure of community around the body of work. Some part does speak with the clink of coin; some takes more personal shape. Explaining the sweetness of conversation with people who buy one’s books AND READ THEM should be easier than it is, but the words most apt still fail to paint every color. When author and reader meet, a loop closes and electricity flows, even if specific works they share are not mentioned. Even if the talk is about everything except the beloved other and these peculiar books. Paul Cooley is far better at this than I am. His “fiendlings” number in the hundreds, and he knows something about each one. Devoted readers become characters marked for grisly death in his stories. The most honored end up like the individual known to the rest of the fiendling world as “Toe Tag.” Somewhere in every Cooley story arc, Toe Tag is discovered already a corpse. I have met Toe Tag, whose real name is inked by fictional coroners. He is delighted to suffer recurring homicide. Other fiendlings cheer his name where they find it. The process is loosely open and intimate in a way I cannot wrap my head around. A wonder of sharing a vendor table with Paul is watching him draw new readers into the gleeful circle. Habdvarsha has devoted readers, but nothing like a fiendling flock. Much as I wish otherwise, my books are not experiences people share with each other. But while no one arrives at my tables wearing LARP ears and claiming to be Ekaterina Rigidstick, chance does sometimes arrange a random magical encounter. The possibility of such intersections is likely the second great benefit of bringing creative process and output to events. Magic here tags the range of everything that may be described as meeting someone unexpected in a gratifying way. The contact may be mind-boggling or just refreshing. It does not always happen. When it does, something in the game changes. There is no way to plan for it except by showing up and standing ready. Peculiarly, such meetings seem to happen close to home more often than away. Follow up is certainly easier when wishes are local. As for point two, the conclusion about events requiring hotel stays is built on simple arithmetic. Combined expenses of table cost, inventory and transportation set an already high defrayal threshold for a two or three day sales window. Added miles and even one night in a hotel jump that up significantly. When there is little wiggle in the budget, road trips make no sense unless someone else pays the way. No one has yet volunteered. In October, Stikmantica will have a table at the Texas Book Festival, for which hopes are high. Barring ill weather, attendance should cut across all the sub-populations in which potential audience lurks. Importantly, it’s both a big deal and a sleep-in-my-own-bed event. HQ has the Sales and Marketing force meeting around the clock plotting ways to up our game. If this looks like a bewildered silverback muttering to himself, it is because you are not wearing the decoder glasses.